Lily-Rose Depp, fashion’s new darling and, often, owner of our dream life, has revealed a teaser for her new Chanel advertising campaign on Instagram. And folks, she’s fronting No. 5. Yep, Lily-Rose is the face of Chanel’s new take on their iconic No. 5 fragrance, called No. 5 L’Eau, and her full debut campaign is expected in the autumn. The daughter of Johnny Depp and long-term Chanel poster-girl Vanessa Paradis, Lily-Rose was announced as the new ambassador for the fragrance last year, but it seems she couldn’t wait to share the first look at her collaboration with her two million Instagram followers. Well she’s just giving the people what they want, isn’t she? 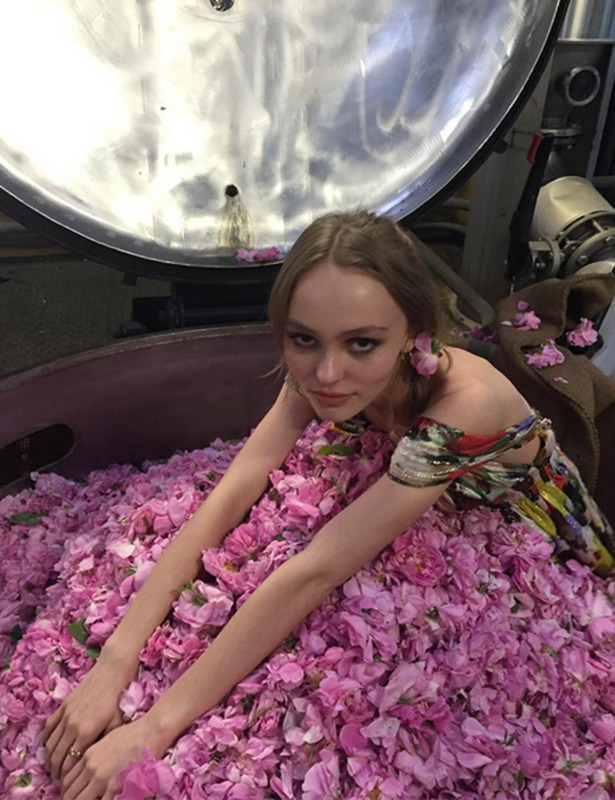 Lily-Rose posted four stunning pictures onto her Instagram page – one official looking shoot image, plus three behind the scenes, including this slightly brilliant shot of her sitting in a cauldron full of rose petals, ready for perfume production.